A Co Dublin bus driver, who “took the hump” in a Do-It-Yourself store when he felt he was being shadowed by a security man, has lost a €75,000 defamation action against Woodie’s DIY and its security company. “The genesis of this problem lies in the impression in his mind that he was in some way under suspicion in the store itself,” Judge Terence O’Sullivan said when throwing out Chris Kinsella’s claim for damages in the Circuit Civil Court. Kinsella, of Moylaragh View, Balbriggan, sued Woodie’s and Risk Security, now trading as SAR Security, alleging that a security man had followed him out of Woodie’s store in Coolock, Dublin, and told him he believed he had shoplifted, taking him back into the store. Judge O’Sullivan told barrister Conor Kearney, counsel for the two defendants, he accepted that when Mr Kinsella had left the store after browsing it was he who had raised the matter of shoplifting and not the security man. He had thought a security man had been following him in the store. Cross examined by Mr Kearney, who appeared with Gary Irwin Solicitors for the defence, Kinsella said he had not bought anything in the store as what he had been looking for was not available. He said Mr Kinsella had alleged he had been put in fear by the security man shouting, grabbing him by the arms and forcing him to go back into the premises. 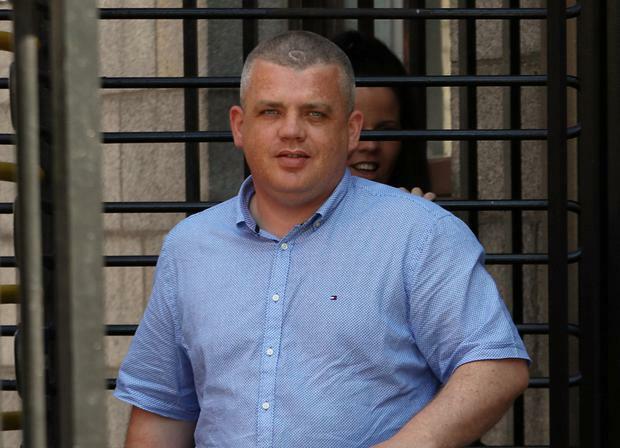 The court had heard at the start of the case that Kinsella was withdrawing a claim that he had been falsely imprisoned. Judge O’Sullivan said that having viewed cctv coverage of what had happened he was satisfied this had been a complete fabrication. “The fact that this claim was stated to be unsustainable and withdrawn infects the entire proceedings,” Judge O’Sullivan said. “The plaintiff has engaged in gross exaggeration with a view to obtaining compensation.